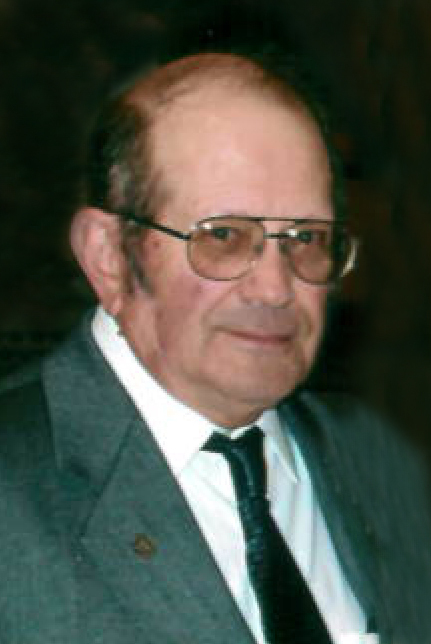 Gordon Bredy, age 82 of Hoffman, died Monday, January 15, 2018, at Sanford Health in Fargo, ND. Gordon Paul Bredy was born on June 4, 1935, at the Bredy farm in Pepperton Township, Stevens County of rural Alberta, Minnesota, the son of Otto and Annie (Aanerud) Bredy. He was baptized on August 4, 1935, and confirmed on April 2, 1950, in the Methodist Episcopal Church in Stevens County. Gordie graduated from the Alberta High School in 1953. Gordon and Lorraine Nadgwick were married on May 26, 1956, in Aeneas Lutheran Church and to this union four children were born, Twyla, Michael, Anthony and Julia. After they married, they lived in Hoffman, and on Gordie’s 21st birthday they started Gordie’s T.V. and Radio, which later became Gordie’s T.V. and Antenna, installing many forty foot antenna towers. They operated this business for forty-two years, and after retirement they built a shop by their home and continued doing electronic work on a smaller scale. Gordie then was employed with ITW Heartland in Alexandria where he worked with his son, Tony. He enjoyed gadgets, eating popcorn, his 1935 John Deere tractor and his WD Allis Charmers tractor which he used to mow his field. He was a member of Hoffman Lions, Lands Lutheran Church, he taught Sunday School and really liked teaching the older kids, and then a Messiah Lutheran member. Gordie was in charge of setting up sound systems for the Hoffman Harvest Festival Parade and the Donnelly Threshing Bee. Gordie enjoyed his time with family and especially his grandchildren and great-grandchildren. He is survived by his wife, Lorraine; three children, Twyla V. Bredy (Craig) of Bloomington, Anthony G. Bredy of Alexandria and Julia A Haseman (Craig) of Evansville; six grandchildren, Cassandra F. Bredy, Derek G. Bredy, Anna M. Woods (Dana), Ryan C. Haseman (Renee), John M. Haseman and Melissa A. Haseman; 5 great-grandchildren, Logan C., Brock R., Beau D. Haseman, Joelle M. and Dylan M. Woods, and by numerous relatives and friends. Gordon was preceded in death by his parents, Otto and Annie Bredy and his son, Michael B. Bredy. Memorial Service: 2:00PM Friday, January 19, 2018 at Messiah Lutheran Church, Hoffman with visitation one hour prior to the service.